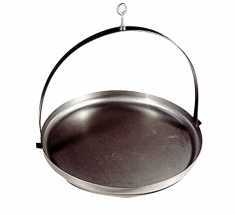 Cooking will be a pleasure when you use one of these great camp pans made from high quality spun carbon steel! The complete camp pan range is designed for outdoor cooking, whether it's over a camp fire or a Weber, on a barbeque or a camp or wood stove. 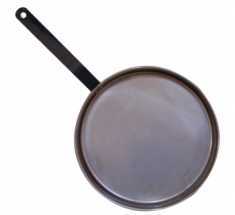 Highest Quality Spun Carbon Steel Pan with Steel Handle.